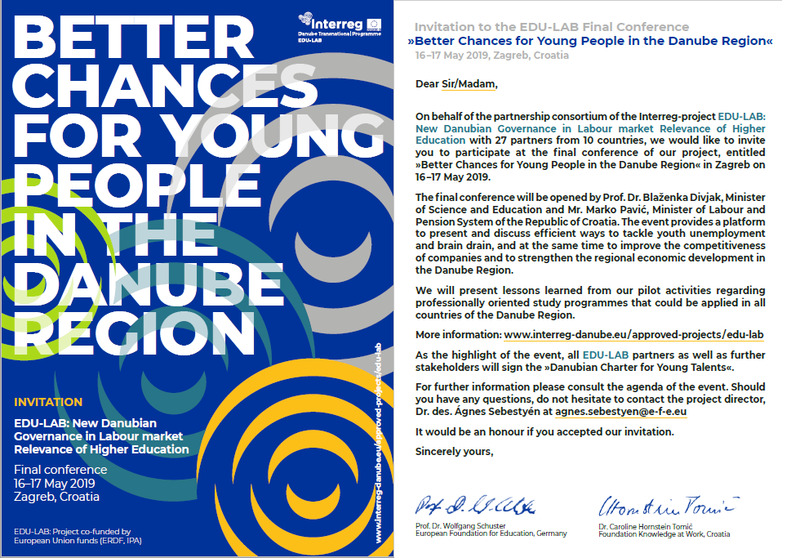 It is our pleasure to invite you to EDU-LAB´s Final conference entitled “Better Chances for Young People in the Danube Region” on 16-17 May, held in Zagreb, Croatia. As the highlight of the event, the project partners and stakeholders will sign the Danubian Charter for Young Talents. Please register for the conference until 28 April here. Book your accommodation at a special price here. For more information, see the information sheet.